At HPC Direct we produce, supply and tailor make a range of chemical pumps for all applications and a wide range of industries. We have many clients in the food, brewing, pharmaceutical and chemical industries who rely on our expertise and proficiency. Our Magnetic Drive pumps are perfect for the leak free pumping of a wide variety of fluids. When pumping hazardous chemicals it is important to use a leak-free pump that resists the chemical’s potentially corrosive effects. HPC Pumps are ideal for the safe and sanitary pumping of special liquids. If you have a specific requirement, contact us today to see how we can help you with the right chemical pump for your needs. Our skilled staff are trained to assess and advise customers on which chemical pumps would be best suited to fulfil your needs. Contact us today to discuss your requirements. We also stock a comprehensive range of water and effluent pumps, as well as central heating pumps for the heating trade. 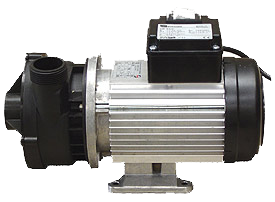 Look here to see a detailed list of HPC Direct pumps that we manufacture and supply.